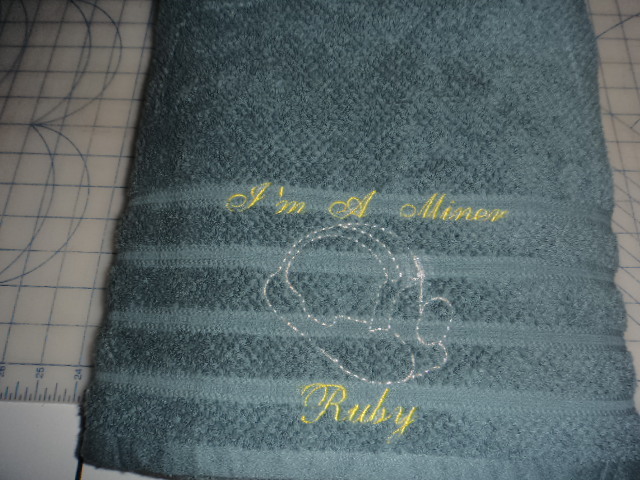 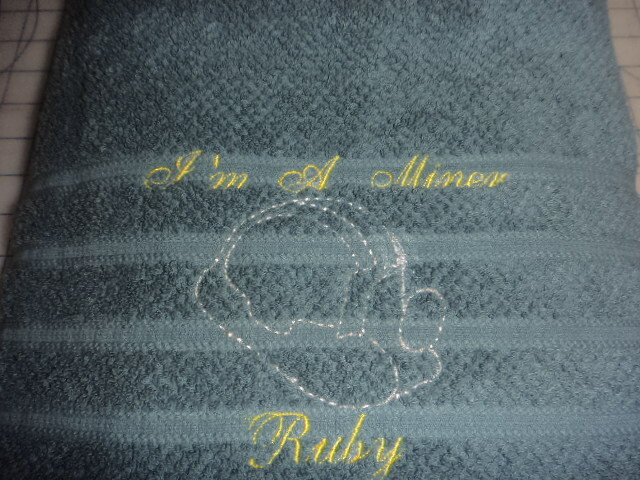 That's a great towel for a miner! 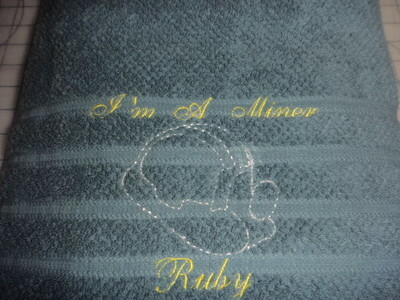 Certainly not something one would ever find in a store, and she won't be afraid to get it dirty. She'll love it!